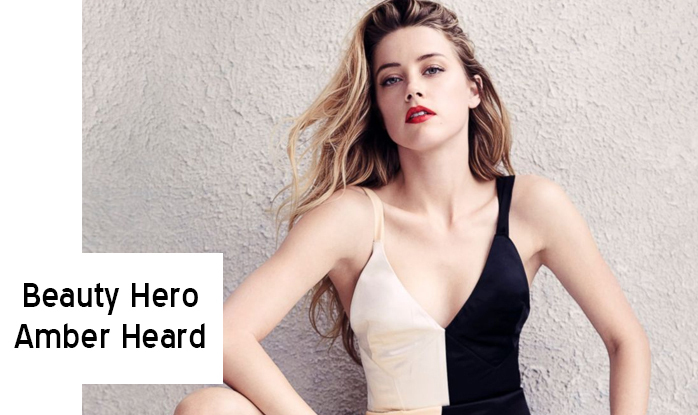 Our Autumn Winter beauty hero is flawless Magic Mike XXL star Amber Heard. She has been owning the red carpet tour of her new movie, pulling off a mix of immaculate looks from a paired back dewy glow to gothic vamp. Our favourite look comes from the premier in Amsterdam. For this dewy glow she has plumped up her skin with facial oils and layered her makeup products, starting with a light foundation and then sweeping a cream highlighter along her nose, cheek and brow bones with a blending brush. She also wasn’t shy about rocking a red lip with this look and we say – hell yeah! In this second look she perfects the subtly contoured cheeks by just bronzing the skin under the cheekbone and using a lighter bronzer on the top of the cheekbone and wow does it work. For an on trend graphic eye she uses a black pencil and liquid liner. To achieve this look you should start at the middle of the eye with the pencil and wing the line out straight before going over it with the liquid liner. She can also pull off one of this seasons biggest trends with this vamp vibe by adding a dramatic bronze eyeshadow and ruby red lip. Amber, we applaud you for having fun with your hair and makeup and not being shy to mix it up on the carpet! Did Someone Say Back to College Outfits From €30? ?